In Search of the Right Driveway Paving Contractor in Ottawa? Looking for driveway paving in Ottawa that’s of the highest quality? 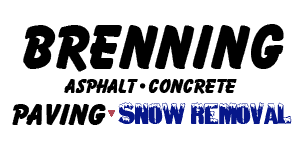 Our asphalt professionals here at Brenning Paving and Construction are eager to assist. Our unrushed service ensures that we meet all of your needs and execute with top-notch craftsmanship on each and every job. Our services range well beyond driveway paving in Ottawa. We also specialize in commercial and industrial paving, so rest assured our experienced team is equipped to deliver the smooth blacktop you’ve been looking for. With over 40 years experience in the industry, we’ve seen it all. Whether your driveway is in need of its first paving, or if there are some imperfections that need some love – get in touch with Brenning Paving and Construction for a complimentary job assessment and price estimate!